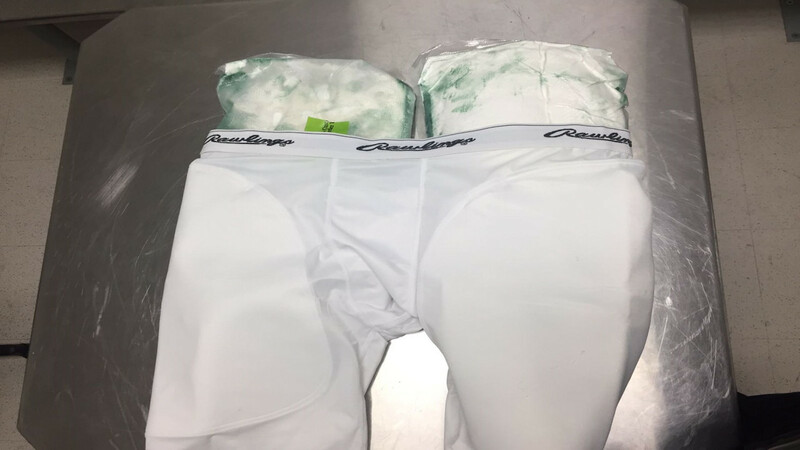 NEWARK, New Jersey (WABC) -- Customs agents at Newark Airport made quite the discovery last week when they found almost five pounds of cocaine stuffed in a pair of spandex shorts. U.S. Customs and Border Protection agents found the narcotics filled shorts inside the backpack of Rowald Thomas Tromp, a citizen of the Netherlands, who had arrived in Newark on December 14th after traveling from Aruba. Tromp was then arrested by CBP agents and turned over to the Port Authority Police Department. The cocaine was contained within two separate packages within the shorts that added up to approximately 5 pounds, which has an estimated street value of $78,000. "This latest seizure demonstrates the steadfastness of the CBP officers on the ground to detect and deter those who would try to import these illegal substances," said Robert E. Perez, Director, Field Operations New York. "CBP is ever vigilant in our daily battle against the flow of illicit narcotics being smuggled into the United States."